I mean with my research on "the best white shirt" non of the best white shirts had link holes, all had button cuffs, as there is something very simple something very fundamental about the features for the challenge and those features have to be acknowledged, and button cuffs are one of them. I think whether or not people like double cuffs and links seems to vary geographically; I buy most of my dress shirts in Charles Tyrwhitt these days, and they knock them out by the thousands with both double cuffs and barrells. I almost exclusively buy the double cuffs (I think I have bought close to a dozen and a half of their shirts over the last ten years or so, only one with a button cuff). They cetainly don't seem to have any trouble selling them. 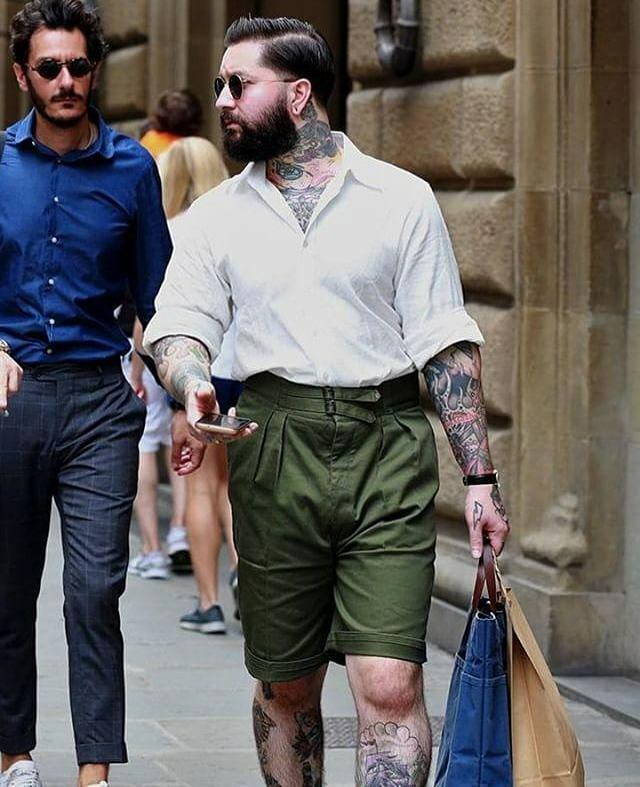 I'll wear a button cuff in a lot of circumstances even if it's not my preferred option, but never for something like a graduation ceremony, or other formal occasions in Summer where I'd benefit greatly from a shirt like this. A single cuff with the option of wheeking off the buttons and going with links would be an excellent compromise, I think. Lack of a double cuff is not a deal breaker for me - just a bit of an annoyance that on some of the occasions when I'd most appreciate the shirt I would be disinclined to wear it. Wearing double cuffs all week this week with links and no jacket, but that's only because of the bloody weather.... in an ideal world it would never get stupid hot, or even uncomfortably hot (i.e. over 18 celsius) - though that is, of course subjective. ;-) I'm just living in hope the heat wave has passed when I get back to Blighty. I'm due a couple of days off, I don't want them ruined like the May Bank holiday! I have several barrel cuffs with link holes - they're a practical compromise. (05-30-2018, 03:37 AM)samtemporary Wrote: I have several barrel cuffs with link holes - they're a practical compromise. Absolutely. I totally get that most of the time these shirts will be worn casually, so buttons make sense; I'd just like to have the option of links for lounge-suit-"formal" occasions in Summer, when I always wear links. (I'd still totally wear SJC links with the skull, fwiw, BUT I know that's likely not financially practical at this point in the game). I see the collar is not of the very narrow variety that the last batch of cotton dress shirt have. In those, it is difficult to keep the tie middle part, going around the neck, completely covered and not peeking out underneath the collar's edge. I do not know if this was a characteristic of the original spearpint collar model that was copied, because in the earlier batch of winter weight shirts, both dress and work, the collar is wider. Chaps today at 4pm GMT I would like to kindly ask you to share Title/slugline, link and gif below on your social media and where ever else you frequent, forums etc. The blog is rather interesting and something your friends and readers may very well enjoy. What is the best white shirt?? You can't post that on Style Forum without being considered spam unless you're an affiliate vendor. By the way, throwing in the words "Pitti peacocks" in there is not the best idea if you trully want to appeal a wide market. Being offensive to potential clients won't bring you good results and even if they won't be buying they are people in the fashion industry and friends with others in the industry so...one thing is to talk casually about that but writing it in an official blog of your brand doesn't seem like a good idea to me. I know that some people aren't fond of weapons so using as first picture one of a man in a suit near someone holding a rifle hiding half the shirt wearer face to me is not a good pick. I want to see clothes not military holding guns as historical as that picture might be. Agreed, weapons put me off as well. really like the animation though. That's exactly how i sport shirts during summer.. What shorts? I got the british khaki drills in the same style. Awesome photo! That's the kind of picture you need to take for marketing purposes. The home made stuff doesn't cut it anymore in my opinion and doesn't really sell me the stuff if I wasn't on the forum.